Fuji’s new ULTRA POLY thread has been extensively tested by custom rod builders and factories alike and the feedback has been 99.9% positive! ULTRA POLY is the first (and only) polyester rod wrapping thread, and it's guaranteed to be free of oils and silicones for the smoothest wrapping experience you’ll ever have. Polyester is the marine industry’s choice for strength, color retention and UV resistance that is superior to nylon. Better still, ULTRA POLY wraps smooth, fast and clean with almost no fuzzies and burnishes to a flat, consistent wrap that accepts finish beautifully. 25 colors in size A and D in both Ultra and NOCP. 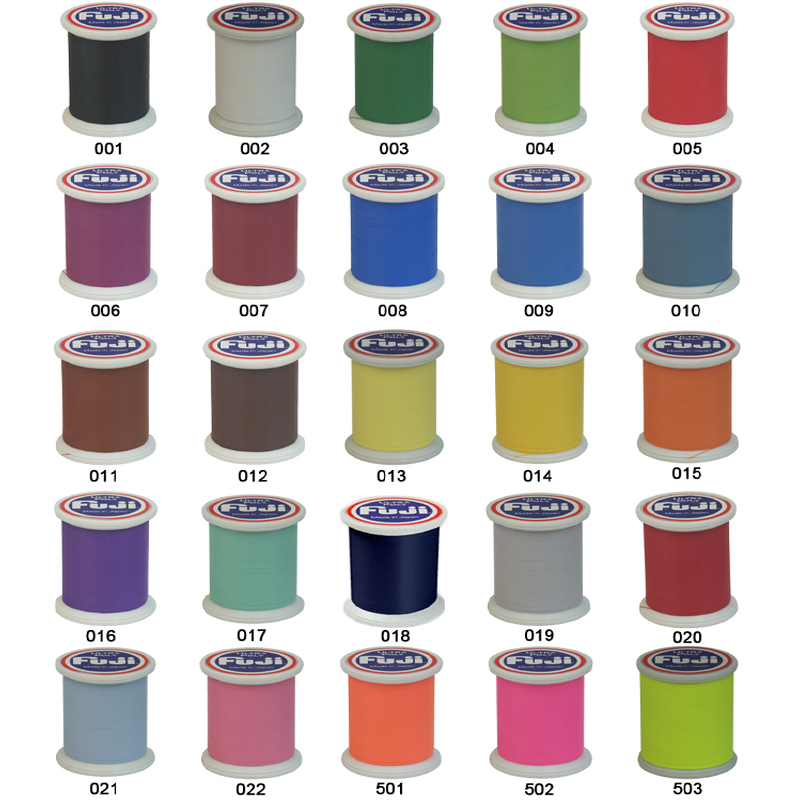 100M and 1oz spools available.